Up to one in five U.S. voters may not know what the law really is. Ever since Roe v. Wade established the constitutional right to abortion, federal and state policymakers have been chipping away at what it really means for people seeking abortion care. Since 2011, states have passed more than 400 abortion restrictions. 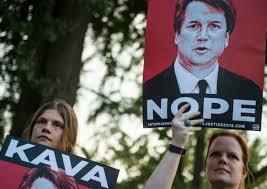 Now, with President Donald Trump’s promise to appoint justices to the U.S. Supreme Court committed to overturning Roe v. Wade (such as current nominee Judge Brett Kavanaugh), the threat of government action to more fully undermine abortion access looms large. Based simply on laws already on the books, if Roe v. Wade were overturned, abortion would automatically be banned in four states and could become more restricted in 12 additional ones. This urgent threat to people’s ability to obtain abortion care has been the focus of recent advocacy campaigns, particularly when spurring opposition to Kavanaugh’s nomination. These efforts assume that people have a basic idea of what is at stake. But they might not. A recent poll by the California-based marketing and opinion research firm Probolsky Research, which I analyzed, assessed knowledge of abortion legality. Over a 12-day period in March and April 2018, 1,000 U.S. voters were asked: “As far as you know, is abortion legal in your state?” Nearly 8 in 10 voters answered “yes,” but 12 percent responded that they did not know and 8 percent thought it was illegal. The idea that individuals with less education have less accurate knowledge has been found to apply to a range of political and other issues. Associations between abortion policy climate and awareness of abortion legality require a little more explanation. A number of states considered hostile to abortion rights have enacted numerous abortion laws over the last decade. These restrictions were quite controversial in some states and received extensive local, and even national, media coverage. For example, when HB 2 was enacted in Texas, more than half of the abortion facilities closed, and this was covered by domesticand international news agencies. Abortion restrictions imposed in smaller states may not have received as much national attention, but were covered by local media. Some individuals, particularly those living in restrictive states, may have been “passively” exposed to this coverage. They may not have paid close attention to the content of the stories, but merely noted that one or more abortion laws had been passed. They may have assumed that these laws made abortion illegal or, upon being questioned about the legality of the procedure, realized they did not know how the laws affected abortion in their state. The data discussed in this article is not without its flaws. Like polls conducted by Pew and Gallup, this one had a low response rate, and the information cannot be considered to be representative of all U.S. voters. Still, there is undoubtedly some truth in the patterns that emerged from information provided by 1,000 respondents. It is possible that accurate knowledge of the legality of abortion is even lower among nonvoting individuals—as voters are more educated, on average, than non-voters. Abortion rights have always been embattled and have become more so over the last decade. This situation promises to get worse if the Supreme Court becomes increasingly hostile to abortion access. Even in the absence of an anti-choice individual being appointed to the Court, state-level efforts to restrict or abolish legal abortion will undoubtedly persist. Abortion restrictions not only make it harder for individuals to terminate their pregnancies, but attention around them may have the secondary effect of making people question whether abortion is even legal. Findings from this poll suggest that efforts to oppose state and national abortion restrictions need to be placed in a larger context. If people don’t even know that abortion is legal, they may not realize just how much is at stake.